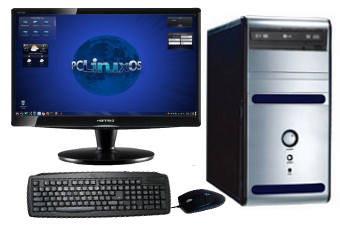 LinPC.us is proud to bring you PCLinuxOS systems! Linpc.us was formed in an effort to help promote PCLinuxOS, we do not plan to offer other operating systems just what we consider the best. (Some systems are available as dual boot, it is not our intention to promote other operation systems but many manufactures do not offer their systems without a pre-installed OS.) We will strive to bring you some of the best available hardware at the best possible prices. We cannot offer all the available hardware. We intend to bring you better quality hardware that has been tested to work well with Linux. Our systems come with latest PCLinuxOS installed and configured as a working internet desktop. We also ship a LiveCD to restore your system to a like new state, if needed (always backup before using this LiveCD). We have installed all available updates. A nice start for getting email and on the internet. Once you have your system you can easily add any applications you need. Just open Synaptic, the software manager and install any of 10,000 applications available to every PCLinuxOS user. All items are new and come with the manufacturers 1yr warranty. Items in stock change frequently. Please call or email us for current availability. One of the ways we keep cost down is to limit stock, most popular items are in stock. If an item is not in stock it may add 3-7 days to the time before it ships. Please let us know if there are items you feel we should offer, keep in mind we are still building the inventory. Any questions, request or complaints email orders AT linpc.us. Again, Please call to verify stock if you need your item in a hurry.